Chris Brown’s baby mama, Nia Guzman took to Instagram to share a photo of their daughter, Royalty rocking a black outfit. Brown called out his baby mama for dressing Royalty like she’s 16. 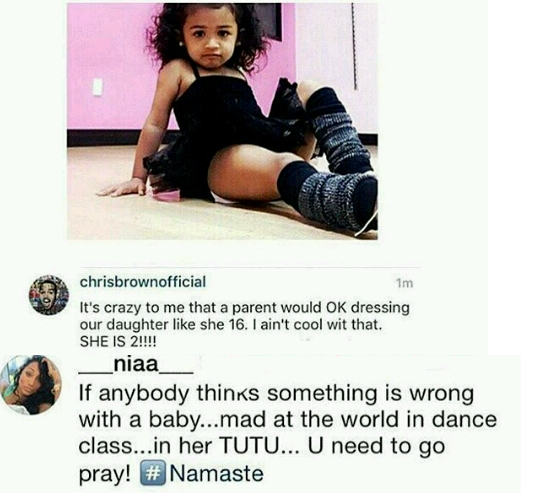 Nia also fired back at the singer saying it is a tutu which is worn for dance classes. Read their rants in the above photo.